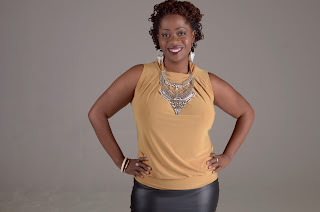 Ashley Brown, founder of Ash Said It LLC. My company is a public speaking boutique that specializes in hosting red carpets, fashion expos as well as other upscale soirées. I have over 10+ years of experience as a radio announcer & I've recently honorably discharged from the Military. Ashley Brown :The biggest obstacle that I've had to face was dealing with the loss of my mother. That is the most difficult thing I've ever faced in my entire existence. I was lost. My heart was no longer in military service. I needed to leave but I had no blueprint on where to go. I took many odd jobs that year. Helped build multiple brands & had nothing to show for it. Then one day a light bulb went off in my head. Why the heck am I wasting time helping people disinterested in helping themselves? Why don't I pour my 13+ years of industry experience into something I can call my own. That's when Ash Said It was born! AB: I had to stop & think about what my skills were. I was always in front of a camera or microphone however it didn't occur to me until someone suggested I emcee a wedding reception. I had never done it before but took to it like a dove to water. That was my gift! Now it was time to cultivate this craft. AB: There is a fine line between personal & professional when it comes to entrepreneurship. I definitely work WAY more hours than I ever did at my 9-5. The only difference is I LOVE what I do! It doesn't seem like work sometimes. AB: Those who know better do better. My grandma Lou would say this to me on a regular basis. Very powerful quote. AB: My Mom was by far the most inspirational person in my lifetime. She encouraged all my wacky ideas throughout the years. She never discouraged my dreams and always supported all my ventures. She was my biggest fan on earth & my guardian angel up above. AB: I live on social media! Lol. Seriously. Social media has essentially become a part time gig. In order to grow my audience, I've had to stay updated on the latest trends. I need to know what they like, what's the latest app they've downloaded & ways I can stay engaged with them. AB: A boss is someone who lays the groundwork for others to follow. They solve problems, create solutions and make executive decisions. They remain unbothered by here-say. A boss is too busy building an empire.